How do I get Safety Valve? In order to be eligible for Safety Valve, you must meet the requirements set out in 18 U.S.C. §3553(f). You do not have more than 1 criminal history point. You truthfully provided the government all information related to the offense. A common requirement that disqualifies people is the prior criminal record requirement. Basically, anything other than a minor one time conviction will disqualify you. However, old convictions may not count and some minor convictions also do not count. There is a whole section in federal sentencing guidelines manual that addresses which prior convictions count and how many points are assessed. In order to get safety valve, you, through your criminal defense attorney, must contact the prosecuting attorney before your sentencing hearing, and tell them that you want to provide them with a statement. You must be willing to tell them everything you know about the offense, who else was involved, and you must be forthcoming and truthful. It will be up to the judge to determine whether you meet this requirement. 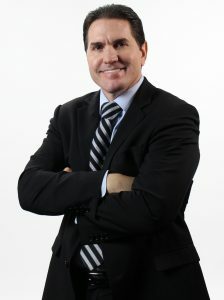 You should not wait until the last minute either, as the prosecutor has no duty to take your statement within a short period of time before the sentencing hearing and the judge has no duty to continue your sentencing hearing to give you time to provide the government with a statement. One difference between Safety Valve and Substantial Assistance is that there is no requirement for you to cooperate against anyone else. So, once your provide the information to the prosecutor, you should become eligible to seek safety valve at your sentencing, without having to cooperate against anyone else. 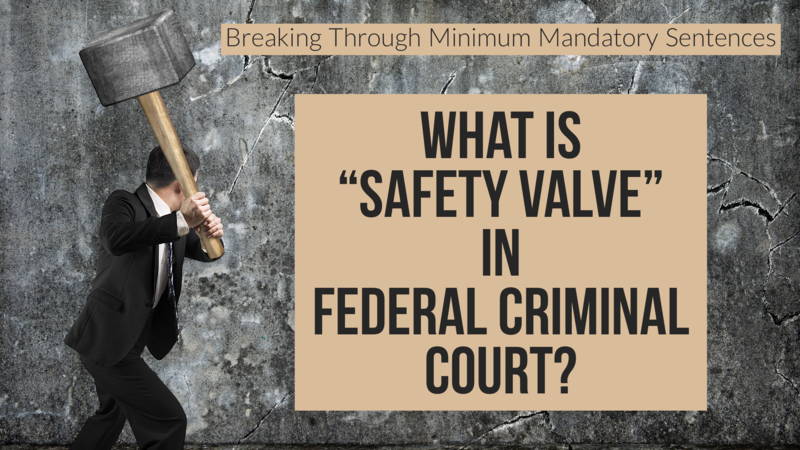 What crimes are eligible for Safety Valve? Not all crimes are eligible for Safety Valve. 18 U.S.C. §3553(f) specifies which crimes are eligible for Safety Valve consideration. If you are not convicted under one of these statutes, there is no Safety Valve option. For example, Safety Valve is not an option for someone convicted under the Aggravated Identity Theft statute that carries a 2 year minimum mandatory sentence consecutive to any underlying sentence. Similarly, if you were convicted of similar conduct to those eligible for safety valve, but were convicted under a statute not listed above, you still would not be safety valve eligible. For example, if you were convicted fo possession with intent to distribute cocaine while aboard a vessel subject to United States jurisdiction in violation of 46 U.S.C. app. §1903(a), you would not be eligible for safety valve, even though someone convicted of the same conduct on land would be eligible.